This white skull or skeleton head has many uses. 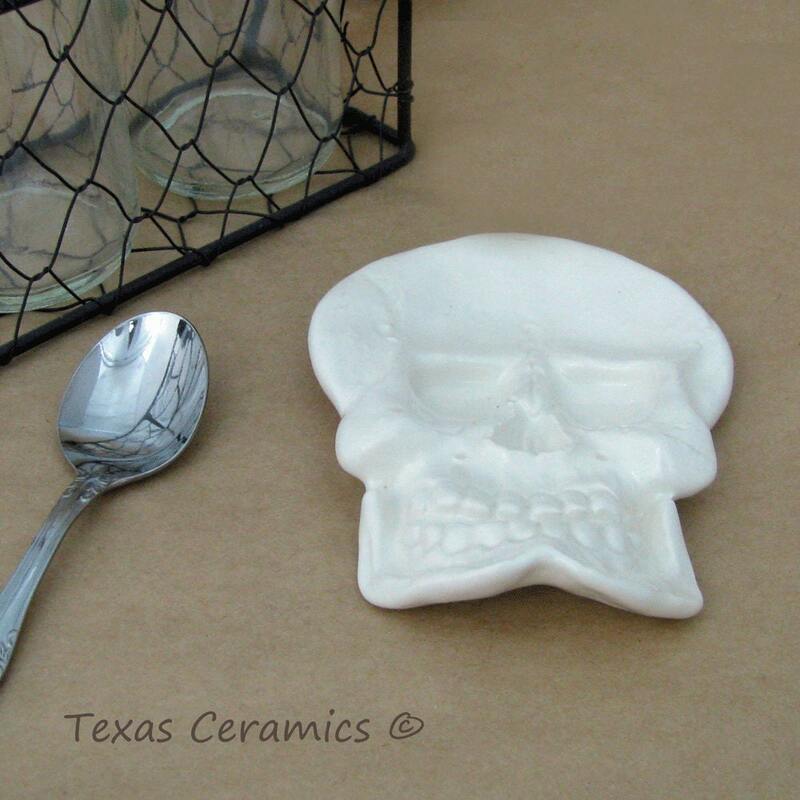 The ceramic skull can be used as a tea bag holder or small tea spoon rest or even as a desk accessory, ideal size to set by the coffee area as a tea spoon rest. Perfect for Halloween decorating or pirate themes. 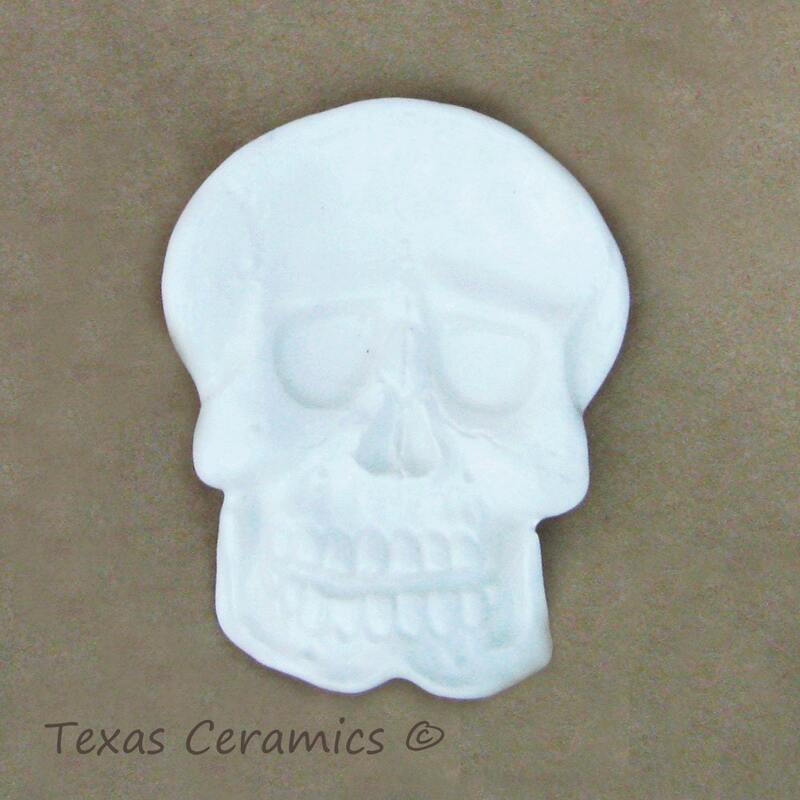 This white skeleton head is made of domestic ceramic slip using a plaster mold for uniformity, it is cast solid for added durability, in other words it is not hollow. Each piece is kiln fired and sealed with a non-toxic lead free glaze. I have been making tea bag holders since 2004 and have a variety of colors and themes available. 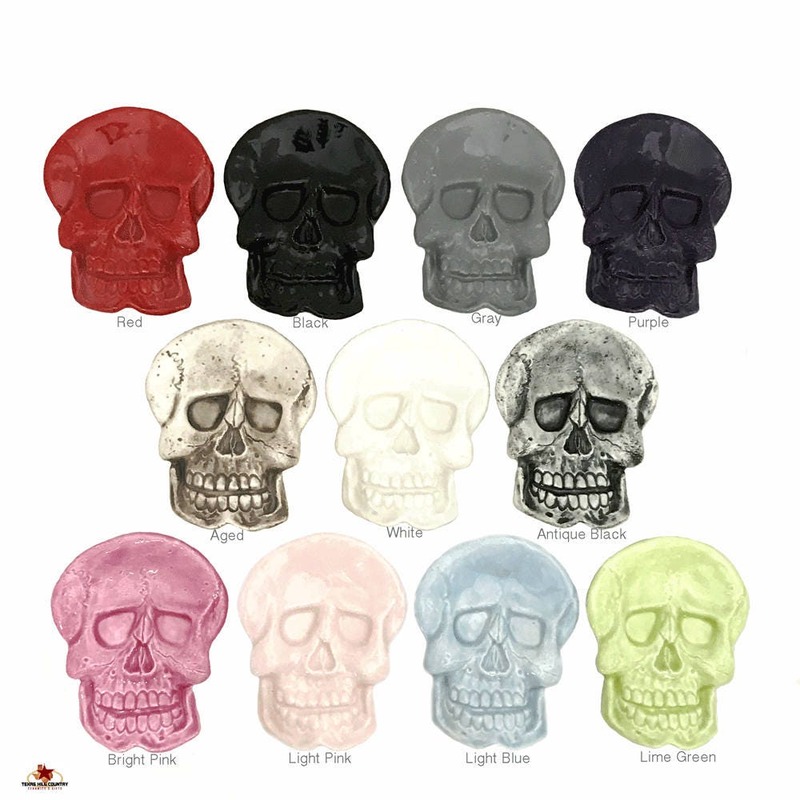 The white skull tea rest is dishwasher safe and food safe. 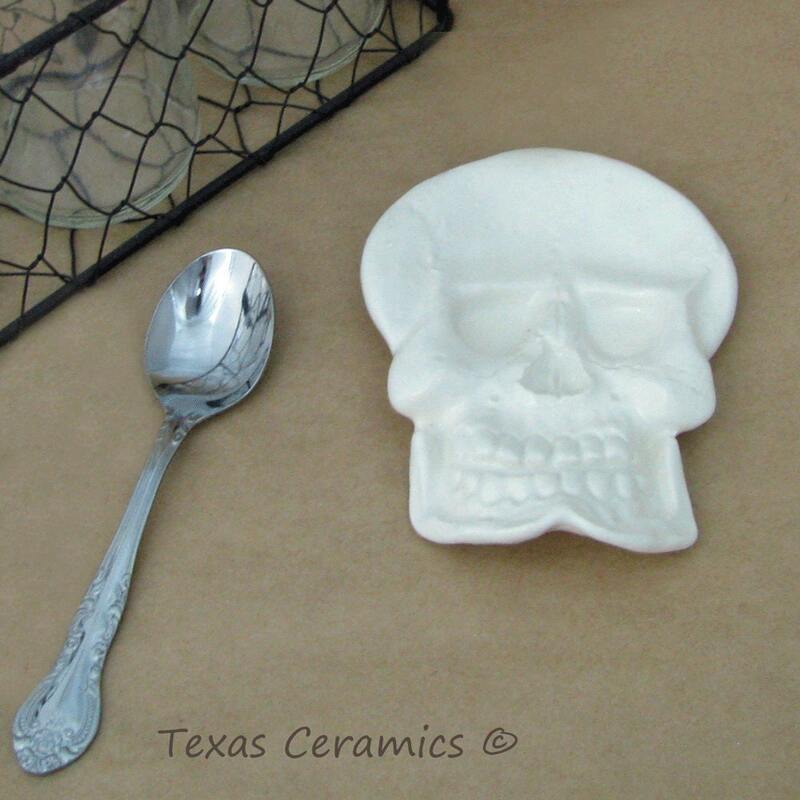 This skull has lots of uses, it can also be used to hold rings, earrings or jewelry, cuff links or tie tacks, coins or change, desk accessory for paper clips, tacks, staples, etc., keys, mini soap bars, candy, coffee pods, dish scrubber, vegetable brush, sewing items (needles, pins, buttons, etc.,) pet treats, incense, small ceremony candles (tea lites) dinnerware place setting accents, wall decorations, Gift Baskets, the uses are unlimited. Also available in jet black, antique black, aged look, bright pink, light pink, lime green, grey, Day of the Dead, purple, red - see last photo. Need another color? Please check my shop for other color options. This listing is for 1 (one) white skull. Nice product but smaller than I anticipated.